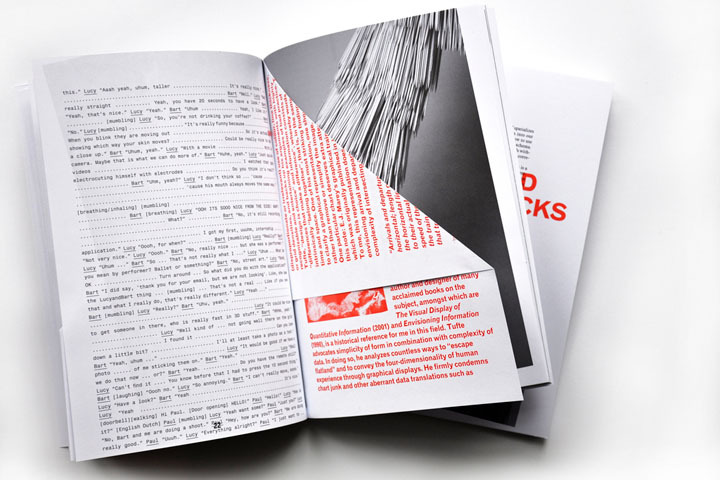 Book launch at Onomatopee this weekend! 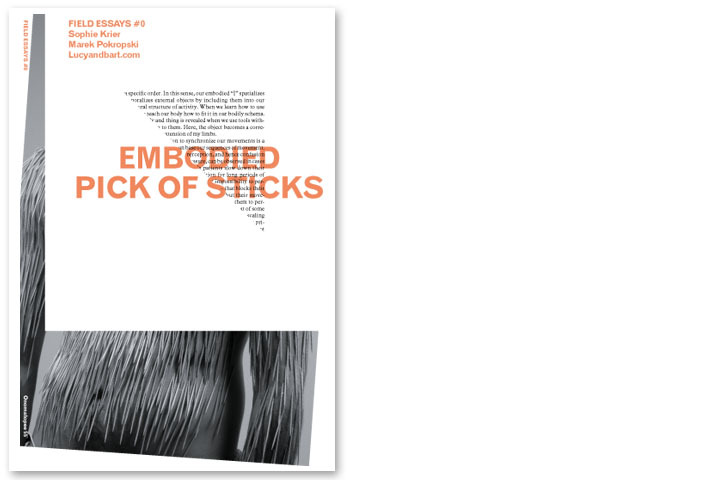 Onomatopee & Sophie Krier present Field Essays, Issue zero, a new series of journals about the dynamics of design processes. Field Essays maps the work and the motives of innovative design practices and engages them with the ideas of contemporary thinkers. 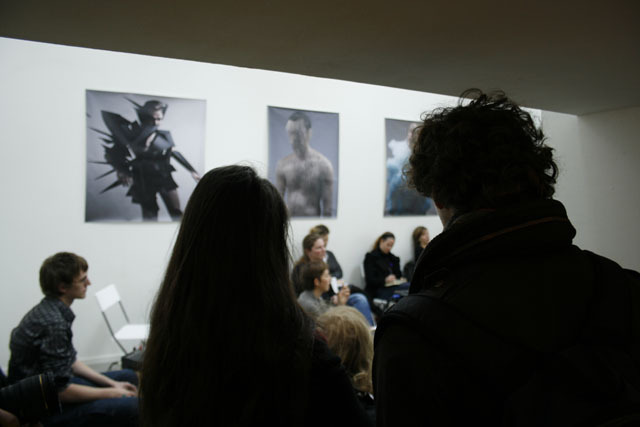 Field Essays works in a practical manner, by acting as a critical and reflective backdrop to the production of new work. This very first issue is devoted to the work of Lucyandbart (NL/AU), the ad hoc duo of Bart Hess and Lucy McRae. Lucyandbart work close to the body, and their mode of operation is impulsive; they generate ambiguous images depicting our skin as a an interface between our self and the world. Guestwriter Marek Pokropski (PL) contributes a philosophical essay, which revolves around our embodied perception of the world. Field Essays is a research project of Atelier Sophie Krier. It was conceived within the context of the Professorship of Art and Public Space of the Gerrit Rietveld Academie, Amsterdam. It is supported by The Netherlands Foundation for Visual Arts, Design and Architecture. 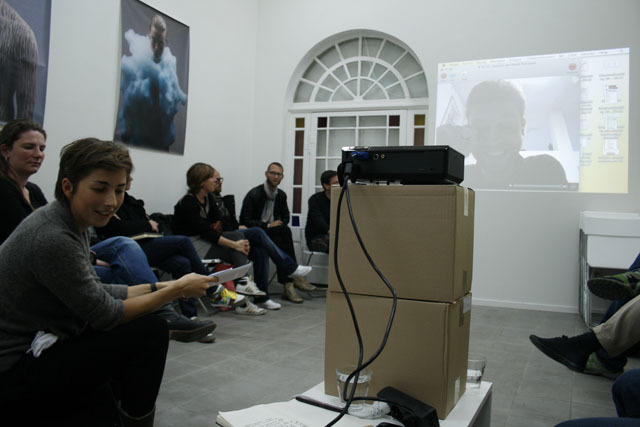 Thank you Jeroen Boomgaard, René Put, Ilse van Rijn, Willem van Weelden, Renée Kool, Frank Mandersloot, Guus Beumer, Danièle Rivière, Bas Raaijmakers, Matthias Gmachl, Rachel Wingfield, Fatos Ustek, Bas Princen, François Roche, Antonio Scarponi, Bas van Beek, Gabriella Gomez-Mont, Alvin Ho, for your inspiring and critical voice in the process.